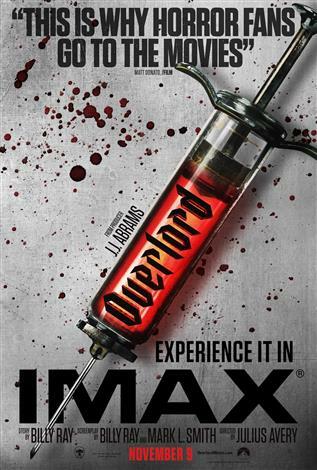 The IMAX release of Overlord will be digitally re-mastered into the image and sound quality of The IMAX Experience® with proprietary IMAX DMR® (Digital Re-mastering) technology. The crystal-clear images coupled with IMAX's customized theatre geometry and powerful digital audio create a unique environment that will make audiences feel as if they are in the movie. A group of US paratroopers fall behind enemy lines to carry out a mission critical to the success of the Allied invasion. However, as they approach their goal, they begin to realize that they must not only confront the Nazi forces. They will also have against supernatural forces arising from an experiment of the army of the third Reich.